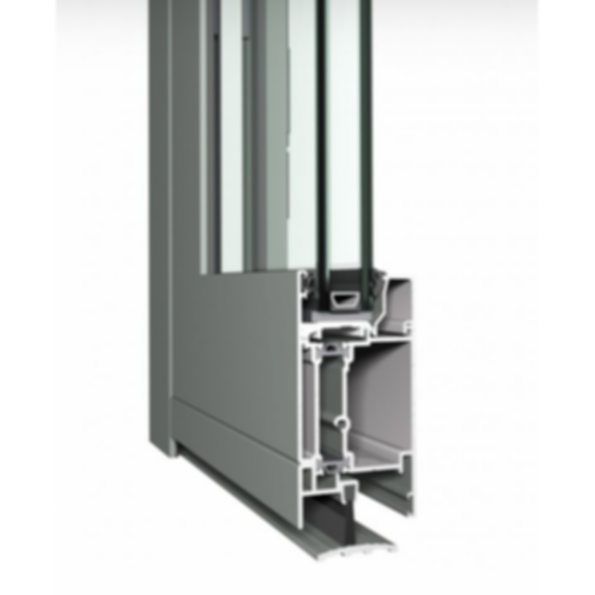 Concept System® 59 offers an extensive range of insulated profiles for the construction of elegant and moderately priced aluminium flush doors. The system is available in a variety of threshold solutions to perfectly match all comfort and aesthetic requirements. The system's limited built-in depth allows its application in many constructions, even with reduced wall thicknesses. The CS 59 system includes all types of inward and outward opening, single and double flush doors. The range of combinations available allow the system to respond to the needs of the building. The door system perfectly matches the CS 59 window system. The large choice of colours allows a perfect match with the building style.